First, open Firefox and type ”addons.mozilla.org”. 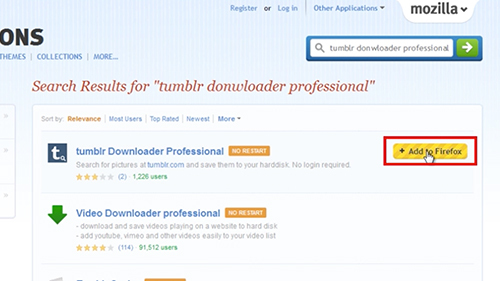 Next, type in the search bar: Tumblr Downloader Professional. 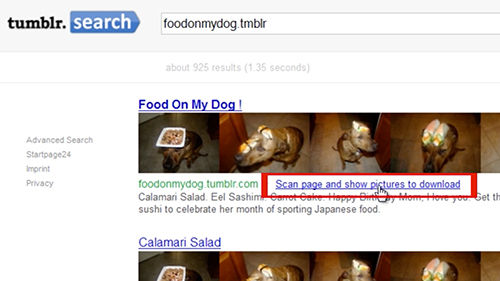 Click on the result and press “Add to Firefox”. The extension will download and in the dialog box that appears, press “Install now”. After this, you’ll see the small icon of “Tumblr Downloader Professional” in the right upper corner of the Firefox browser. 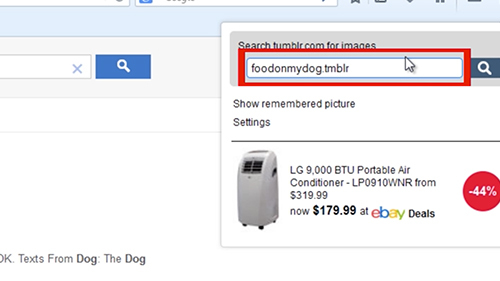 If you click on it you can enter any search term you’d like, which will then load a search results page in the active tab. What’s unique about this feature is that you can type the search for a tumblr blog and download all the pictures you want from that tumblr. You just have to do the search and then click on the link that says “Scan page and show pictures to download”. Now you’ll see “Tumblr Downloader Professional Dashboard”. Controls at the top of the page provide you with several options. You can select all images on the page, for instance, and hit the save button to download them all to your local system. Or, you can select only some images by clicking into circles that are placed on the previews. That will download only those images instead.